Bill Tenny-Brittain wrote an article entitled “The Stewardship of Friends” published in May/June 08 of NetResults.org magazine. It is excerpted from his book Hitchhiker’s Guide to Evangelism, available from Chalice Press in fall 2008. I had the chance to read Bill’s book prior to publishing and am glad to recommend this book to you. When I do a teaching exercise as part of the evangelism workshops that I give, I find the same thing. I ask people to give me the names of 3 people they are close to who do not go to church and who do not have a relationship with Jesus as best they can tell. I get lots of blank stares and empty faces. The answer is often zero. So how to do develop those new relationships? Bill asks five practical questions / steps to help you think through this. 1. Pull out your calendar. On what two tasks or chores have you spent the most time over the past two months? How does that make you feel: satisfied, justified, horrified, embarrassed, happy, sad? 2. How much time have you spent with an unchurched person? With unchurched people? 4. List five things you can do to get to better know at least one of the above-listed people. Make sure you include appropriate ways both to meet them more formally and to move past casual introductions. 5. Grab your calendar again and calendar a deadline for meeting and doing something with (or for) this person. 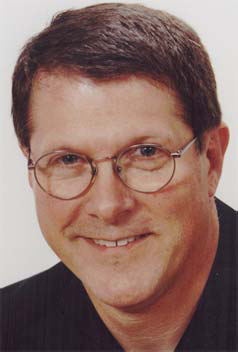 Dr. Bill Tenny-Brittain is the Senior Editor of Net Results and a Senior Consultant with Easum, Bandy, & Associates. He is the author of a number of books on aspects of spirituality, evangelism, and church growth. In addition, Bill spends much of his time helping congregations navigate their way through the maze of the changing North American culture. He lives in Missouri with his wife Kris. What if I don't have non-Christian friends?